You can offer your hands (CPR) to increment the other person’s survival chances. So WHY NOT plan to get this skill quickly to save lives and be a life-saver! 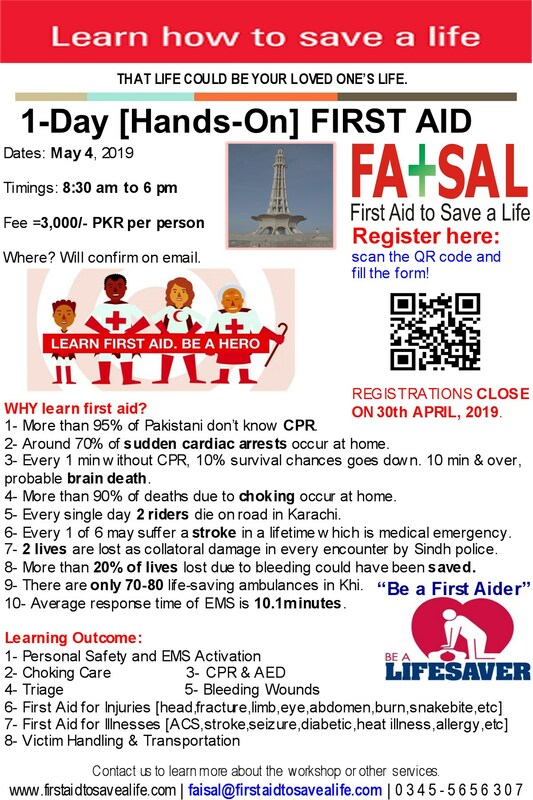 This entry was posted in CPR and AED and tagged Adult Child and Infant CPR Training, Adult CPR Training, ashi, BLS Training in Islamabad, BLS Training in Karachi, BLS Training in Lahore, Certified CPR Training, Child CPR Training, CPR, cpr and aed, CPR and AED Training, cpr training, Infant CPR Training, islamabad, Karachi, Lahore, medic first aid, MFA, trainings in islamabad, trainings in karachi, trainings in lahore, Why learn CPR. Bookmark the permalink.